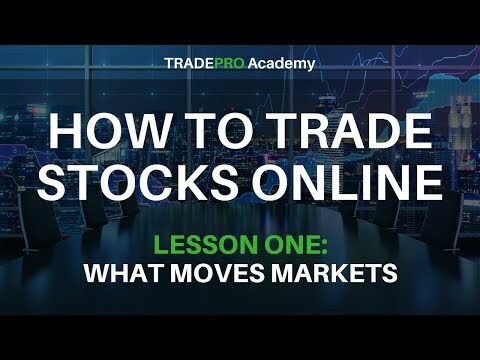 TRADEPRO Academy teaches you how to make money. Whether you’re a beginner or intermediate trader, their lessons will help you make the most of the market. TRADEPRO Academy gives you what you need to master the art of trading. First, you get video lessons that cover everything from basic to more advanced topics. Next, they connect you with a live coach who will act as your guide. You will also receive your very own workbook. Learning how to trade requires plenty of practice, so TRADEPRO Academy also helps you choose the best options trading software. If you’ve always wanted to trade, but find all the principles and processes confusing, TRADEPRO Academy can help you out. Their Trading Foundations Course is a convenient and comprehensive way to gain basic trading knowledge and get started on earning money. The course is composed of 24 lessons divided into 3 levels. The lessons are all in video form, so you get a combination of voice lectures and graphical presentations. Combined with the emphasis on comprehensibility, the course is ideal even for beginners with no prior experience with trading, as well as intermediate investors who want to improve their mastery of the art. The course begins with the basics, such as a discussion on markets, what they are, how they function, and how you can make money. This will teach you when to enter the market and how you can make money despite its prevalent conditions. You will learn to maximize your returns, as well as create trading plans that suit your specific needs, intended results, and trading style. A special favorite among students are the Applied Market Analysis classes. These let you go beyond theories, allowing you to apply the concepts you have learned in a live market environment. The knowledge that these classes impart is essential to understanding how the market works and identifying the highly profitable trading opportunities. The Trading Foundations Course is an online program, which makes you can take it in the comfort of your home. You may also choose how much time you’re allocating for your lessons. To help you get the most out of your studies, you will be connected to a professional trader who will act as your mentor. You can talk to your success coach anytime through Skype, email, a phone call, or any channel convenient to you. TRADEPRO Academy goes all-out in providing the resources you need to master trading. They will give you your very own workbook, as well as a template for your trade journal. As investing requires plenty of hands-on experience, they also offer recommendations on the best options trading software, which allows you to practice without spending money. The course is accessible through monthly subscriptions. There are currently three options available, each with specific perks and schedules. These options are Options Pro, Day Trader Pro, and Options & Day Trader Pro. You may settle your payment using major credit cards. As long as your subscription is valid, you have unlimited access to all the content offered in the course. If you find the course unsatisfactory, you may elect to cancel within the first three months and you will get a 100% refund—guaranteed. I have been taking video classes with them since about a month. I know feel much more aware of what is behind the market's moves....and by investing a bit, I manage to already make quite some serious money. And I'm not talking bitcoin, but stocks, bonds and options.